We are a long established Land Rover Main Dealer and over the last few years have seen a large growth in our parts business. In view of this, a decision was taken to locate the parts department to a dedicated warehouse with new offices, mezzanine floor and increased floor space capacity to cope with the growth. After discussing my requirements with several suppliers, I chose Stormor to supply and install the racking. I initially discussed my needs with the Stormor team, who understood exactly what I required and offered alternative solutions. Plans and a quote were produced. Ian provided samples of the racking, so I could physically understand what I was buying. At this point, there was a few minor changes needed but this didn’t hold up the schedule. When it came to the installation, there were two installers on site who proceeded to install the racking at a fast pace. At all times, they communicated their progress and checking I was satisfied with the build. On completion, they cleaned up very well and there was no evidence that they had been there, which was a credit to the installers. 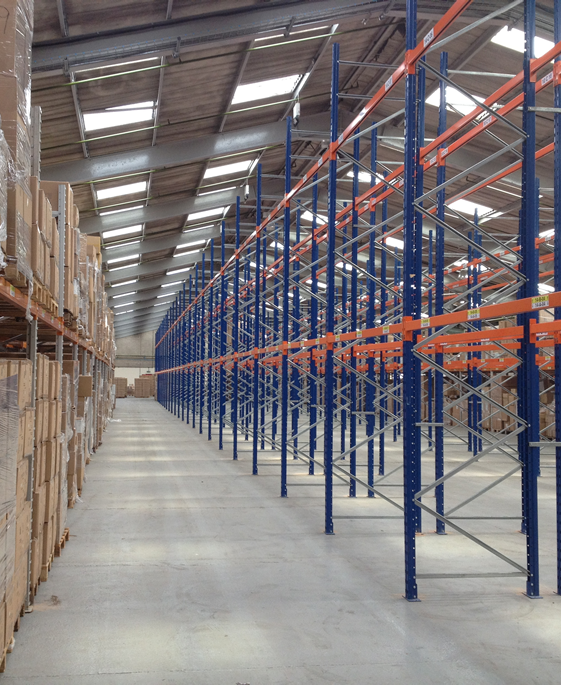 Since the initial build I have ordered additional racking to compliment the new warehouse.